In January, 2016, canoeists will gather in rural Leicestershire for a first formal Conclave of the UK’s “Quietwater Plus” Community. This will involve quality on-water workshops during each day with an international coaching team, but also quality time off the water – and we will have excellent hosts offering fine food and accommodation! Over the afternoon / evening of Friday 29th January, we meet for a buffet and informal get together in The Boat House @ Barrow, on the banks of the River Soar (our daytime base for the weekend) and at Quorn Grange – where we’ve got Bed and Breakfast Accommodation for two nights, plus a Saturday evening Carvery. During each day, European specialists will be leading workshops in various dimensions of Quietwater and “Quietwater Plus” Canoeing – developing approaches to canoeing famously associated with US legends such as Mike Galt, Patrick Moore and Harold Deal, and linking to a tradition of “Conclaves” which started in the US in the 1980s. We anticipate the strongest gathering of solo-canoes ever witnessed in the UK, but tandem “Quietwater Plus” sessions may also feature, as might “Canadian Style” – in a programme which will respond to the needs and interests of those attending. Note: find the programme here, the timings here and booking info here. Expect a quality weekend both on and off the water! 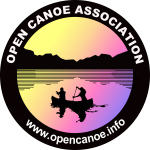 ← Welcome to our “Quietwater Plus” Canoeing Community!